We understand our customers' growing need for CNC technology in their machine tools. At Farrell, we have created a facility whereby we can convert any conventional machine into an affordable CNC machine. These are quality, affordable machine tools, with the added advantage of Siemens' global warrantee. We have acquired the designs for W.E. 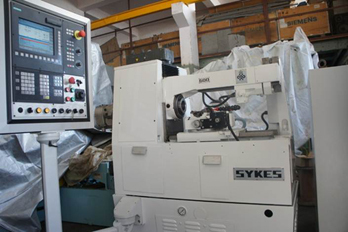 Sykes, the world-renowned pioneer in gear machine manufacturing. Our first machine, the Sykes H160-4, a 4-axis machine, has been launched in 2012.